Autotask is an efficient and powerful solution for file syncing and sharing at an enterprise level. It is designed to support enhanced security and flexibility for small, medium or large businesses. With Autotask, companies will be able to stay in control of their data, while keeping it secure and accessible whenever needed. Autotask Workplace supports collaboration, making it also a suitable option to maintain productivity. It integrates advanced security features like Mobile Document management and device security. Admins have the power to add or remove users, ensuring that the company’s data is kept secure and controlled, even if an employee leaves or a device is lost or stolen. In this review, we’ll find out more about this service. Why should companies consider Autotask Workplace? Consumer solutions don’t provide the level of support that a service like Autotask can offer. 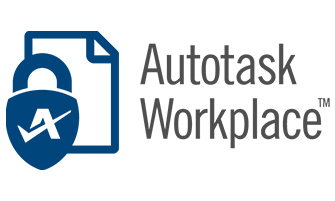 Established in 2001, Autotask Workplace is ideal for business with over 5 employees and smaller business that need support for heavy media files. The service adapts to a company’s needs and it makes adding and removing permissions simple. It offers crucial features for companies including high security, access to data on the go and file sharing capabilities. Security is one of the most important aspects of data management, specially for companies as leaving critical files unprotected could result in losses and devastating consequences for the business. Companies’s files face different threats including theft, hackers, data loss and insecure access to data. While it is important to ensure that the information is available when needed, security is essential to avoid any of these threats. Autotask understands that businesses need to share data externally. This is why it offers strong security, but also the possibility of sharing information in a simple and safe way. You can send documentation to potential clients, contracts and other information without putting the data at risk. It is also possible to access documents from outside the company’s network, while keeping a high level of security. VPN or FTP for remote access are supported. Ensuring that data is secure and that it remains private is one of the strongest points for Autotask. The company offers state of the art data centers (in the United States, Canada and Europe) that are in compliance with local legislation. They also provide a good set of security features including 2-factor authentication, role based access control per user based on content or device and individual device approval and removal. Autotask also takes into consideration the importance of being able to access data on the go, which is why it supports integrated mobility. There is support for major platforms such as Android, iOS and Windows. You can get offline access to the data get detailed control over the information that is synced and the users who can access the shared folders. If a company’s laptop containing important files goes missing or is stolen, admins can delete all the data with the help of the remote wipe feature. This will ensure that confidential files and folders are not accessed by third parties. 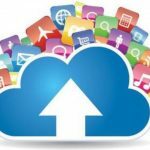 Additionally, Autotask offers cloud backup integration with real-time backups that allow users to add data from their devices to the backup jobs. There is also mobile document editing thanks to the integration with Google Docs and Office 365, offering the possibility of editing documents from any device. You can lock files while they are being edited online to avoid confusion between different copies. The file syncing features work in a similar way to consumer cloud storage services. When the software is running on the target computer, mobile device or server, a folder is set up and it becomes the main point for syncing data. All the data in that folder is transferred to Autotask’s cloud, ensuring that they can be distributed to different users and other devices associated to the service. With Autotask, you can sync an unlimited amount of files and there are no restrictions on their size. New projects can be synced automatically to personal devices, but you can also adjust settings so that Autotask asks you before completing any action or sync all the data manually. If you have a lot of files that need to be synced, you can use a feature called LAN sync, which ensures that files are synced quickly across devices in the same network. Of course, Autotask also supports File sharing, a function that is essential for companies. Finding an effective, practical way to share files can be difficult but Autotask is set to make things simple when it comes to distributing data. You will be able to send large files to clients or ensure that large projects and files are updated correctly. Files can be shared in two main ways: creating a public file or setting up a private share room. The public link can be created from the web interface or from a mobile app. The Private Share Room is another practical option that will allow you to share files or folders with members of the team that have access to Autotask Workplace. Collaboration is another key part of Autotask Workplace since it is what enables companies to keep on top of productivity. Users can work on the same project thanks to the sharing option. It is possible to share a project via desktop, giving access to the folder using the web interface. Admins have strong control over a shared folder and they can manage effectively access to that data that it contains. Admins can grant full access to team members or they can set limited permissions such as create and modify or read only. Autotask also offers cloud backup and reporting and auditing options. Autotask Workplace is an effective solution for companies that want to improve the way in which they manage their data. It gives administrators a lot of power to manage access and permissions to edit data. It is a tool that enables advanced technical control, but it is simple enough to ensure that anyone can manage it. The solution covers all the important aspects of cloud data management at an enterprise level. The software (particularly the iOS app) offers great quality and it can help companies to work on their projects in a more efficient way.